Contests, prizes, and new smiles! — We invite you to visit our practice and find out what’s new! Winning free orthodontic treatment is as easy as placing a sticker on your car. Do you have your Battistoni and Beam car sticker yet? If not, ask our office for one at your next appointment. Each month, we search the area and a winner is chosen at random to win a $25 gift card. At the end of the year, a raffle will be held and the winner will receive FREE orthodontic treatment. Join our rewards hub today. Don’t miss out on the chance to win exciting prizes, just by taking good care of your teeth and orthodontic appliances. You can earn points by having great oral hygiene, keeping your appliances from becoming loose or breaking, visiting your dentist regularly, and more. If you haven’t signed up yet, ask how at your next appointment. 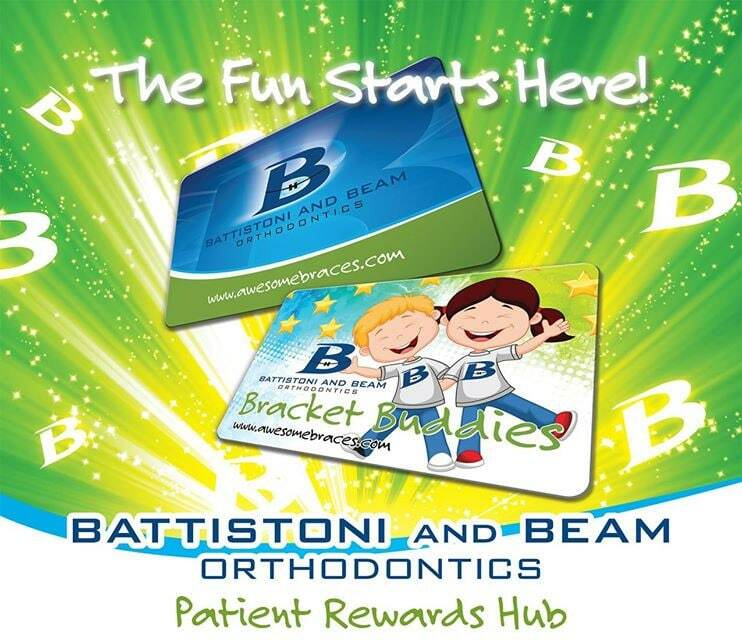 We know you work hard during your orthodontic treatment, so don’t miss out on your chance to earn rewards for all of that work! The rewards hub will also be home to other exciting contests throughout the year, so don’t forget to check in regularly.